Quiet 1 Acre Block Walking Distance to Withcott School & Shops! Positioned at the end of a quiet cul-de-sac, Lot 1 is 4,462sqm and has town water, power and frontage to a sealed road. This is a nice peaceful block away from the highway noise. The child care centre and school are only a few hundred metres up the road, and the Withcott shops and public transport is easy walking distance and Toowoomba CBD only a 10 minute drive. A level house pad has been provided and a 3.5m wide concrete driveway across the front easement will be included. This block is currently being subdivided with completion expected in March. This price is only available as the works are in progress with the price to rise when it is finished. If you get in and secure this block early, you will save yourself a tidy sum with settlement to occur after completion. 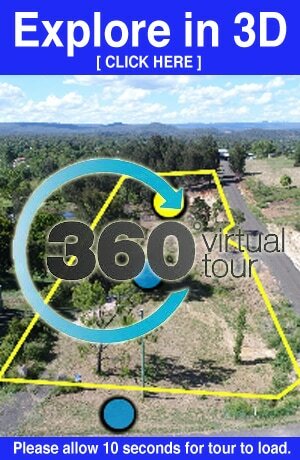 3D VIRTUAL TOUR: PLEASE CLICK ON THE VIRTUAL TOUR BUTTON TO VIEW A 360' TOUR OF THIS PROPERTY.